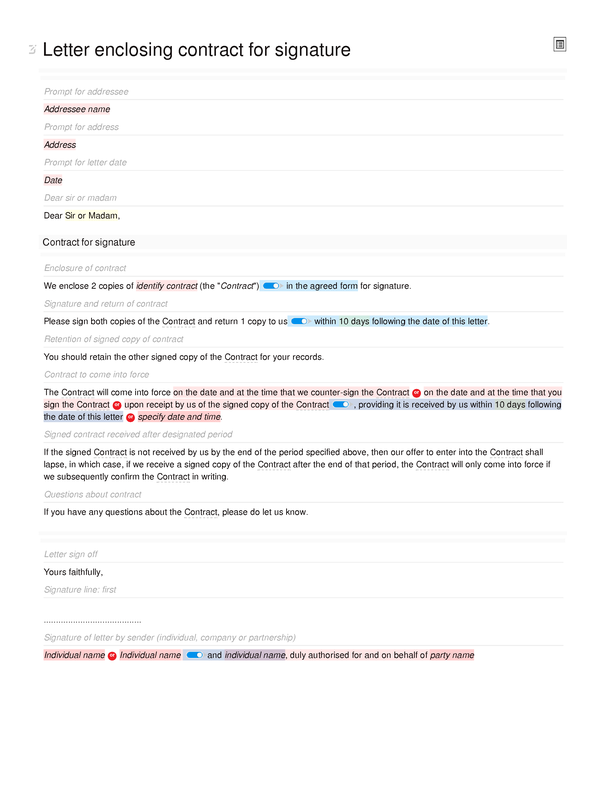 Even today, contracts are regularly sent out by post for signature. This document may be used to create a covering letter for contracts sent out in this way. The letter assumes execution by signature, rather than execution as a deed. It also assumes that 2 copies of the contract are being sent, and that either: (i) both those copies have been signed by the sending party; or (ii) the receiving party will sign both copies, returning only 1 to the sending party, who will then counter-sign that copy. Enclosure of contract; signature and return of contract; retention of signed copy of contract; contract to come into force; signed contract recieved after designated period; questions about contract.